We are pleased to provide a catering/food service to bus tours, family reunions, weddings, parties and any special events at the Random Passage Site. 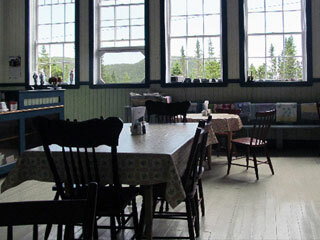 Bus Tours can come and take a tour of our beautiful Site and enjoy a wonderful traditional Newfoundland meal (Jiggs Dinner, Fish Cakes, etc) at our Tearoom or Joe’s Place with a visit from the mummers and entertainment. Wedding's at Random Passage can enjoy a private ceremony with the setting being an 1800’s outpost. The buildings, surrounding landscape and water will make for an excellent backdrop for your wedding and some amazing pictures. We can also cater to your wedding banquet with dinner held at Joe’s Place, the location for the Grand Seduction filming, (catered by the Random Passage Tearoom) with the beautiful view of the ocean and pictures along the beach. Private Parties and Special Events: you can bring your guests for a private tour of the Random Passage Site or just have your dinner and entertainment with us. 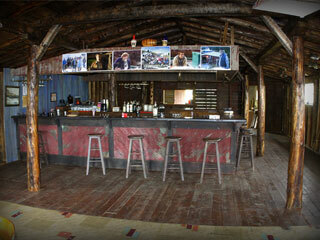 Bar service available. 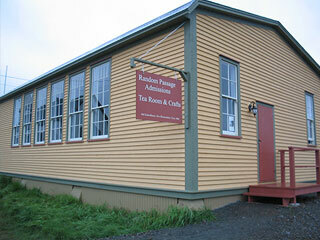 Come enjoy your meal at our one room School House or at Joe’s Place.